Diamond is one of the world's most valued natural resources, not to mention one of the most highly desired gemstones. Diamond is naturally made with an enormous variety of characteristics, making each individual diamond unique. The combinations of these characteristics determine the quality and value of a diamond. The Four C's stand for Cut, Color, Clarity, and Carat Weight. The diamond grading system has transformed the diamond trade and today is used by nearly every professional in the industry and diamond enthusiasts across the globe. Because individual diamond varies so immensely in quality and price, it is vital for consumers to be familiar with the Four C's as well. We've outlined the basics of this grading system below, to help give consumers the resources they need to make educated purchases. The 4Cs of a diamond are the most important factors that play a critical role in determining the price of a diamond. These include diamond carat weight, diamond color, diamond clarity, and diamond cut. While the first three a natural elements, the fourth one depends on the quality of the craftsmanship, so cut is a human factor. We also consider three other factors to be critical in determining the value of a diamond. These include diamond shape, diamond fluorescence, and diamond certification. It is very important to note that you would have to learn more about each C in order to understand how important that C is while considering a diamond. Please also note that there could be a big difference between a diamond that has the same grading in terms of the C4s, so understanding the details of each C is important. Diamond Carat Weight: This is pretty simple and straight forward to understand, the bigger the stone, the higher the price. However, there is a catch. The price of a 2 carat diamond (all other factors being equal) is not twice as much as the price of a 1 carat diamond. It would be most likely three to four times the price of a 1 carat. Why? Because scarcity play a huge role in how the prices of diamonds are determined. Because a 2 carat diamond is scarcer than a 1 carat, its price would be significantly more than a 1 carat. Hint: look for stones that are not a full carat e.g. .95ct or 1.95ct because the prices of a diamond tend to jump significantly once they hit a full carat. Diamond Cut: Diamond cut is most probably one of the most important factors (a human element that is often manipulated to save as much weight of the rough diamond as possible) in how the diamond is priced, and it has a significant effect on the overall brilliance and fire of the diamond. Diamond cut ranges between excellent, very good, good, fair, and poor. For round brilliant cut diamonds, GIA assign a cut grade, and for fancy shape stones such as an oval cut or a princess cut diamond, GIA has not yet finalized a grading system. However, there are important insights that we have developed for each shape stone that you should read before buying a diamond. Hint: the most important factor in the cut of a diamond is depth, table, girdle size, grown angle, pavilion angle, and culet. Make sure you know enough about these factors especially table and depth before you buy a diamond. It is okay to compromise on the cut of a diamond slightly as long as the brilliance or fire of the stone is not compromised, but do not compromise more than 3-5% as it is a crucial factor. Diamond Clarity: clarity is one of those factors that you can play with depending on your budget. Diamonds are formed over millions of years under intense heat and pressure and as a result often have impurity and inclusions; these inclusions are the natural birthmarks of the stone and are often evaluated to determine the level of clarity in each diamond. Clarity ranges between Flawless (Fl), Internally Flawless (IF), Very Very Slightly Included 1 & 2 (VVS1/VVS2), Very Slightly Included 1 & 2 (VS1/VS2), Slightly Included 1 & 2 (SI1/SI2), and Included 1,2 &3 (I1, I2, I3). Stones above VS2 that are graded by GIA are often considered as eye clean meaning you should not be able to see any inclusions in the diamond without the aid of a jewelers loupe. In under 1 carat stones, unless the diamond has large black crystals, SI1 and even sometimes SI2 would be considered eye clean. I-I3 are almost always not eye clean. Hint: because sometimes even SI1 diamonds are eye clean, it gives you plenty of space in terms of making a compromise if you are on a budget to get a lower clarity grade diamond. Diamond Color: In white diamonds, color is most probably the second most important factor after the cut of a diamond. The absence of color makes the diamond more desirable, therefore the lesser the yellow tint, the better the diamond. Color grade ranges from D to Z where a completely colorless diamond would obtain the higher color grade of D. Colorless range is D-F, Near Colorless range is G-J, Faint range is K-M, Very Light Yellow Range is N-R, and Light Yellow is S-Z. Hint: G is an excellent color even for an investment grade diamond, but if you are on a budget going as low as I/J is not a bad choice. Also, in lower color grade diamonds e.g. H, I, J, buy diamonds with blue fluorescence as it can make the diamond look whiter than it actually is because blue is a complementary color to yellow. Similar to the cut of a diamond, it's color will either increase or decrease its sparkle and fire. Obviously, a diamond with less color will reflect more light than those with a light yellow or brown hue. This, along with the fact that nature provides us with less of these colorless diamond, makes them more valuable and sought after. The most common color grades are G through I, as they are more abundant in nature, and much more affordable. Although diamond of these grades does have a hint of color, it generally isn't visible to the naked and untrained eye. Diamonds are graded according to the GIA (Gemological Institute of America) color chart. Z+: Fancy. Bright, remarkable color. Usually blue, pink, yellow, etc. Approximate price for VS1 Clarity, 1 carat round diamond: More than $10,000. According to the GIA, "diamond clarity refers to the absence of internal inclusions or external blemishes." Of all diamond characteristics, clarity may be the one with the greatest impact on a diamond's value, since flawless diamond is so rare. Natural diamond is created deep within the earth under extreme pressure, so it's not surprising that nearly all diamond have minor flaws. There are two types of flaws - blemishes and inclusions. Blemishes are external flaws found on the surface of a diamond and include chips, nicks, and scratches, most of which occur during the cutting process. Inclusions are internal flaws such as bubbles, cracks, or other minerals within the center of the diamond. GIA developed a universal diamond clarity grading scale consisting of 11 grades. 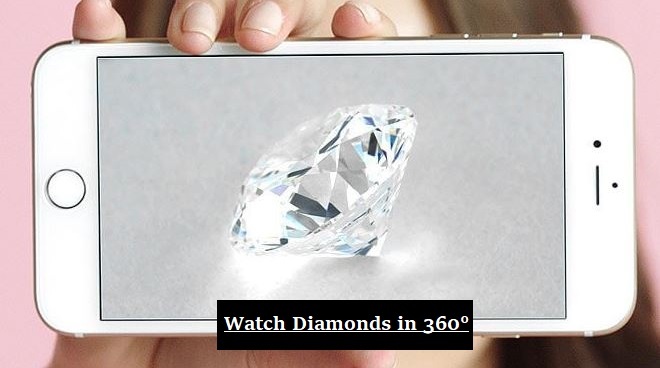 Diamond is graded under 10x magnification, so most of the flaws that affect the clarity grade are barely visible to the naked eye. In addition to the number, size, and severity of the inclusions, the position and color of the inclusion are also considered when grading the clarity of a diamond. Since no two diamond is alike, the characteristics of a diamond and it's inclusions make it entirely unique, and are sometimes used, like fingerprints, to identify the individual diamond. The clarity grades are flawless andinternally flawless, the diamond of these grades are valuable because they do not occur. The next best clarity grades are VVS (very, very slightly included) and VS (very slightly included). These diamond are more common and sought after because they are more affordable than flawless diamond yet still have very minor inclusions, most of which can only be seen under magnification by a skilled grader. Likely the most common clarity grade is SI (slightly included). Diamond of this clarity is still considered "eye-clean" and provide an inexpensive alternative. The lowest clarity grade, I (imperfect), has more noticeable inclusions which may affect the brilliance of the diamond. Diamond cut is one of the "four Cs" used to determine the overall quality, and therefore the price, of a diamond. Most diamond certificates will include a rating of the diamond's cut, and, all other things being equal, a diamond with a better cut grade will command a higher price. The methods for determining a diamond's cut rating can vary depending on who is making the assessment, and, to further complicate the matter from the buyer's perspective, some certificates don't explain in much detail what criteria they used to grade a diamond's cut. That being said, if you're thinking of buying a diamond, it would be well worth the time it takes to understand what different cut grades mean, how they're determined, and what influence they have on a diamond's price. This knowledge makes you better able to determine for yourself what a diamond's price should be, distinguish a good deal from a bad one, and make the best possible investment when buying diamonds. In simple terms, the cut grade of a diamond refers to the "light performance" of a diamond, meaning the degree to which the diamond retains and reflects the light that enters it. A diamond with a good cut will be highly reflective and exhibit the best possible amount of sparkle. Conversely, diamonds that "leak" light through the bottom or side are usually cut too shallow or deep respectively, and they will thus have a less favorable cut grade. Since it's widely acknowledged that the aforementioned sparkle or brilliance is what gives diamonds their unique beauty, it follows that cut is what separates the most stunning diamonds from just ordinary ones. It should be noted that "cut" in this sense does not refer to the intended shape of the diamond. If you've ever browsed for diamonds, you've probably come across terms like "Princess cut," "Asscher cut," "Emerald cut," and so on. These refer only to stylized diamond shapes and are not an indication of a cut rating. The diamond's cut is a large part of why it shines so brightly and looks so beautiful. A perfectly cut diamond reflects the light back up toward the viewer's eyes, causing the diamond to look bright and shiny. If a diamond is cut "shallow," or the distance from the table to the cutlet is shorter than it should be, the light will be reflected away and the diamond will be less brilliant. Similarly, if the diamond is cut too deep, the light will shine out of the pavilion and will not make the top (table and crown) appear bright and lovely. The cut can enhance the overall quality, value, and beauty of that diamond. In a well-cut diamond, the light which enters through the table (the top flat facet) and travels through to the pavilion is then reflected and dispersed through the crown, creating a desirable effect. Unfortunately, in a poorly cut diamond, some of the light leaks out the girdle, which dramatically reduces the diamond's sparkle. The quality of a diamond cut is based primarily on symmetry and polish, as well as the proportions of the table size, crown angle, and pavilion depth to one another. In most cases, the more facets a diamond has, the more brilliance and sparkle it will have. However, the depth of the pavilion also has a huge impact on this. When the depth of the pavilion is either too much or not enough, the light can be lost out the sides of the stone instead of being directed through the crown. The brilliant round cut diamond is by far the most common of the diamond cuts, although many others are gaining popularity. The brilliant round cut was designed specifically for use on the diamond, and with it's 57-58 well-proportioned facets, it's brilliance and sparkle is more noticeable than on most cuts. Yet with so many variations of diamond cuts, many combinations of proportions are possible, directly affecting the beauty of a diamond, and therefore also the value. WHAT DIAMOND CUT GRADES ARE THERE? At this point, there still isn't a standardized system for diamond cut grades. Each certifying authority uses its own system to rate the cut of a diamond, which can make things slightly confusing. Thankfully, however, the grades themselves are usually fairly self-explanatory, even if the methods used to determine them aren't all that clear (more on that later). Ideal: A diamond with maximum brilliance. Premium: Nearly equal to Ideal. Very Good: A diamond with slight light leakage. 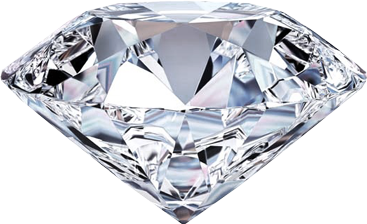 Good: A diamond with decent reflectiveness, usually one which has been cut for size rather than brilliance. Fair or Poor: Diamonds that reflect relatively little light. Again, though, in some cases the terminology that is used can differ, the Gemological Institute of America, one of the major diamond rating authorities, for example, grades diamond cuts as Excellent, Very Good, Good, Fair, and Poor; so, diamond cuts rated "Excellent" by the GIA will be roughly equivalent to those rated "Ideal" by other bodies. Additionally, some diamond vendors have a special designation for their best cuts. For example, the online diamond retailer the Blue Nile has a "Blue Nile Signature Ideal" cut, a term which they use to refer to cuts within the top 1%. Although carat weight is also used to measure gemstones, it is slightly more complicated, since gemstone types may have different densities. When written, carat is usually abbreviated as 'ct.' In a jewelry piece with several diamonds, the abbreviation used is 'ct TW' meaning carat total weight (the sum of the carat weights for each diamond), although that's usually shortened to 'ctw.' The value of such a jewelry piece may be less than the value of a similar item of the same carat weight with only 1 diamond. Diamond solitaires are much rarer, and therefore, a 1ct Diamond Solitaire ring will be worth much more than a similar 1ctw ring with much smaller diamond. Likewise, diamond of same carat weight and size might not be the same value, because one may have better color or clarity. The cut of a diamond has a great effect on diamond value and carat weight hence some diamond cuts hold more volume than the other diamond. The Four C's as outlined above are the main characteristics which affect the value of a diamond. However just as important is that they classify the diamond's unique beauty, and standardized the grading system used to classify the quality of the individual diamond. We highly recommend for consumers to educate themselves about diamond grading and other related jewelry info.